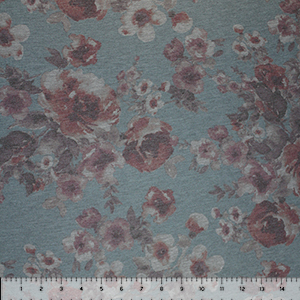 Gorgeous fabric! 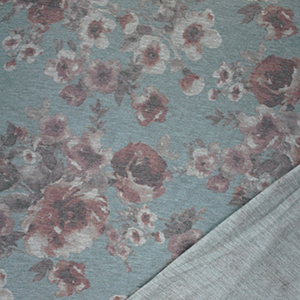 A drapey and soft cotton french terry spandex blend with vintage look floral bouquets in muted colors of burgundy and pink red on a heather chalky blue gray background. 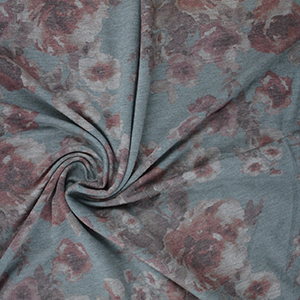 Medium weight with a smooth top surface, low bottom loop pile, good drape, and 4 way stretch. Largest flower measure 3 1/2" (see image for scale).